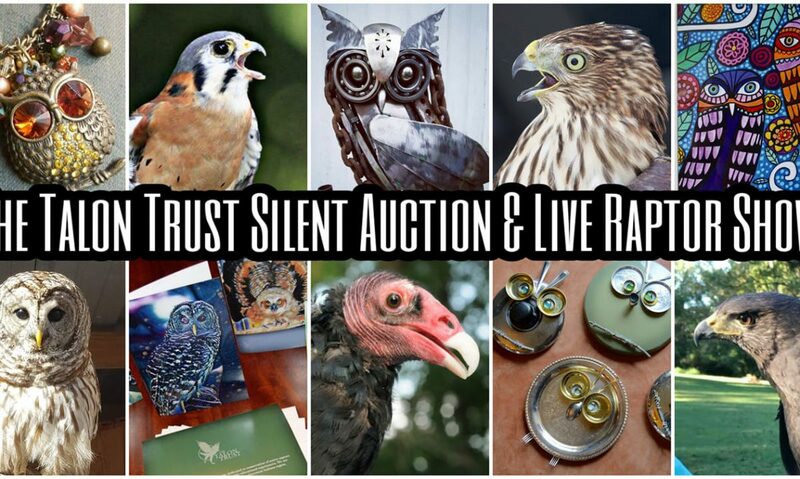 Join us for the 3rd annual silent auction and live raptor show, hosted at the John James Audubon State Park Museum and in conjunction with the Ohio Valley Birding Festival. The live raptor show will be Saturday April 13th, 1:15-2:15 in the lower level of the museum. Our volunteers will share stories of local raptors that have been rescued and released back to the wild and introduce you to our living education ambassadors. Before or after our program you can also enjoy fun activities happening at the birding festival. Show your support for your local wildlife and our efforts to save them by donating items or bidding in the silent auction! We will be auctioning over 100 unique, handmade, and locally donated items. All funds raised are used to care for injured birds! We will also have signature Talon Trust items for sale. See schedule below for details. We are a local raptor rescue and rehabilitation organization that provides educational experiences for the public. A not-for-profit 501c3 organization, we operate solely on donations, grants, and program fees to fund daily care and safe enclosures for injured birds of prey. The silent auction raises our entire annual budget! Please donate, bid, and visit with us this year!